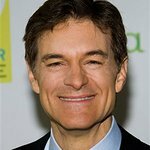 Dr. Mehmet Oz of “The Dr. Oz Show” will host the Substance Abuse and Mental Health Services Administration’s (SAMHSA) 2016 Voice Awards — a program that recognizes those in the television and film industry and community leaders who work to increase awareness and understanding of mental and substance use disorders. This year’s event, to be held on August 10 at UCLA’s Royce Hall in Los Angeles, will highlight the theme “Strengthening Families through Hope and Help,” and spotlight the positive impact family members have on their loved one’s path to recovery. The 2016 Voice Awards will recognize actors Kristen Bell and Dax Shepard with a SAMHSA Special Recognition Award. The couple are known for their considerable efforts to raise awareness about mental health and addiction, support of each other on their respective journeys of recovery, and commitment to helping behavioral health community organizations. Filmmakers Rob Reiner and his son Nick Reiner will also receive a SAMHSA Special Recognition Award for sharing their personal and difficult family story about supporting Nick on his path to recovery from addiction. Their real-life inspired film, “Being Charlie,” is a Voice Award finalist this year as well. In addition, Yashi Brown, Rebbie Jackson, and Stacy Brown will receive a SAMHSA Special Recognition Award for sharing their personal stories of recovery and speaking out about the importance of family support for those living with mental illness and addiction. Consumer/peer/family leaders who have embraced and promoted the role of meaningful family support in all aspects of prevention, treatment, and recovery also will be honored. The Staglin family in Rutherford, CA, will receive the Lifetime Achievement Award for their extraordinary contributions to mental health research, and for raising awareness about mental health in their community and nationally. Consumer/Peer/Family Leadership Awards will be presented to Sheldon Hill (Detroit, MI), Tiffany Hunsley (Rochester, MN), Julie Magers (Tigard, OR), Ted Streuli (Edmond, OK), and Sally Zinman (Berkeley, CA). The Young Adult Leadership Award will be presented to Joshua Calarino (Miami, FL). The Voice Awards also will recognize writers and producers who feature responsible and respectful portrayals of people with behavioral health conditions in their films and television shows, and highlight the powerful role family support can play for recovery. 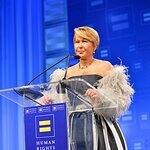 This year’s finalists include Being Charlie; The Dark Horse; Love & Mercy; Touched with Fire; “Blue Bloods” (CBS); “The Carmichael Show” (NBC); “Empire” (FOX); “Madam Secretary” (CBS); “Mom” (CBS); and “Nashville” (ABC/CMT).